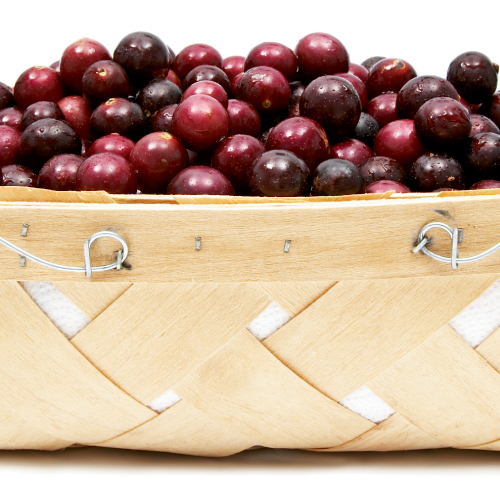 If you’re used to conventionalgrapes, tough-skinned muscadines can be intimidating. Here’s an easy technique for enjoying them: Puncture the skin with your teeth. Hold the punctured end in your mouth and squeeze the other side with your fingers to separate the pulp from the skin. Loosen the seeds by rolling the pulp around in your mouth. You can spit out the seeds or eat them; they won’t hurt you. You can also eat the skin, which is high in fiber, manganese, and polyphenols.